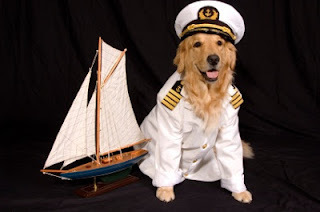 Pet Care dogs on cruise dogs on cruise line pet on cruise What Cruise lines allow Assistance Dogs? 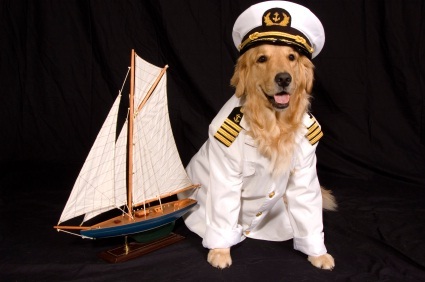 All Cruise lines must accept Assistance Dogs as it is against the law & human rights code. Most Cruise lines will require you to sign a document confirming that your dog is an assistance dog and not a ‘pet’ before embarkation. What restrictions are there for the entry of assistance dogs in different countries? When dogs or pets are imported or taken into Australia they must stay in quarantine for 30 days. However, the 3 main kinds of assistance dogs; guide dogs, hearing dogs and service dogs can enter Australia when entering a cruise port, provided they have not come from a high-risk country for rabies. They will be placed under quarantine surveillance but won’t actually spend any time in a quarantine station. There is no quarantine period for pets that will be entering Canada; there will be an inspection fee though. When an assistance dog is registered in the United States, it will not face any barriers to entry to Canada. The only documentation that will be needed is proof that the dog is indeed trained to be a service dog and is accompanying his/her owner for medical reasons. A Canada Veterinary Certificate completed by a licensed veterinarian in either English or French that is dated within 10 days prior departure to Canada and must be accompanied by your pet. Assistance dogs that are endorsed for a guide, hearing or another service of dog are not subjected to any of the restrictions for importation where the person that is importing the dog is the actual user of the dog and to accompany the dog to Canada. The laws of Barbados do not provide for access of service/assistance dogs to public places (shops, restaurants, hotels, etc.). There are no special exemptions to the import veterinary health requirements for service/assistance dogs. They must satisfy the same import conditions as pets. All animals traveling to Caribbean must be rabies-free, and must never have been rabies vaccinated. If travelling here from EU member states or listed countries the same rules apply. They must be micro chipped and have a pet passport, and be vaccinated against rabies (at least 21 days before departure). If you are entering from non-EU or non-listed country same rules apply but a blood sample must also be taken 30 days after the vaccination, and then you must wait 3 months to avoid your dog being put into quarantine. China does not recognize as many kinds of service dogs as the U.S. does. For example, they do not recognize psychiatric service dogs. Service dog owners also don't have as many public access rights as they do in the U.S.
Pets must have a certificate showing they have been vaccinated against rabies within one year and at least 30 days prior to entry into China. Pets under 3 months of age are exempt from the rabies vaccination. Only one pet can accompany the traveller and the travellers name must be on the export health certificate. In addition, each animal needs its own health certificate, so multiple pets cannot be on the same APHIS 7001. A general certificate of health is not required by the Centres for Disease Control and Prevention for entry of pet dogs into the United States, although some airlines or states may require them. Dogs are subject to inspection at ports of entry and may be denied entry into the United States if they have evidence of an infectious disease that can be transmitted to humans. If a dog appears to be ill, further examination by a licensed veterinarian at the owner's expense might be required at the port of entry. In most South American countries and Mexico, in more tourist-heavy areas, guide dogs are generally welcomed without problems. In Brazil, however, a 2006 federal decree requires allowance of guide dogs in all public and opens to public places. The Brasília Metro has developed a program which trains guide dogs to ride it. What happens when you disembark the cruise ship? If you have an assistance dog you will not be able to disembark until last. Stay behind the yellow line on the platform until all disembarking passengers have left the ship.